The Agri-Fab 45-0299 is a tow behind aerator which is 48 inches broad. It is meant to be towed behind your lawn tractor to improve soil compaction by removing soil cores from the lawn. There are 8 spools in line of the aerator knives that dig out a plug up to 3 inches fitted below the 48″ tray. The overall dimensions of the Agri-Fab 45-0299 are 49 inches wide and 21 inches high. To help the penetration of the aerator knives and open up the ground more, the tray can be either filled with sand bags or loaded with concrete blocks which will provide the extra weight to push the knives into the turf better. The tray can be loaded with anything up to 175 lb in weight. The knives are made from rustproof galvanized metal which will provide durability and the cutting edge can be re-sharpened by following the original cutting edge angles. To allow for good grip and to avoid damage to the lawn the Agri Fab aerator has pneumatic tires which are 10″ tall and 4″ wide in size. To lower the knives when about to start the lawn aeration process there is a cantilever transport handle fitted which can be lowered for the purpose. When approaching a walkway or driveway the transport handle can be raised again to avoid damaging the knives. Oxygen and nutrients are essential for maintaining a healthy lawn. The 3 inch plugs removed by the pull behind lawn aerator will allow these elements to go all the way down to your lawns root system. If the lawn areas are hard compacted a good idea would be to water them an hour or so before attempting to perform aeration. 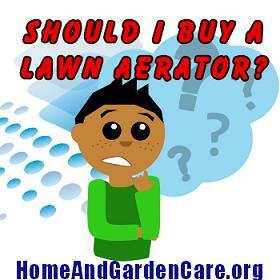 Apart from watering it would be best to mow the lawns before yard aeration is attempted. Start the tractor at a slow speed before lowering the tow behind aerator knives to the lawn. Only increase the grass tractor speed if the knives are still fully penetrating the lawn to their full depth. Avoid sharp turns with the blades in the down position and operate in straight lines to avoid damaging the lawn. When working on sloped areas go up and down the slope rather than following the slope contour. As mentioned earlier remember to raise the knife blades mechanism up when approaching hard surfaces to avoid damage to, not only the agri-fab tow plug aerator, but also to the hard lanscaped areas of the yard. 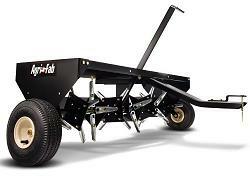 Read more about the Agri Fab tow behind aerator here. Calling out a professional company to aerate your lawn is expensive. If you don’t want to face this hefty annual charge then buying your own tow behind aerator certainly does make sense. 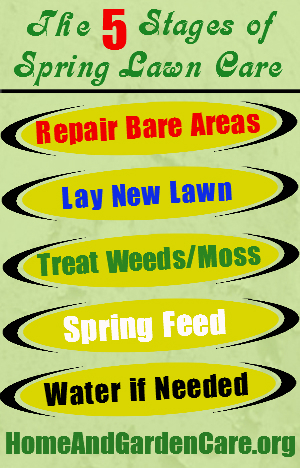 Consider the one time layout cost of a power lawn aerator and the benefits of having your lawn looking in great shape. Calling around for quotes from professional companies will soon determine whether it makes sense to buy your own or not. Owning your own aerator allows you the freedom to choose when the conditions are at the their best for carrying out lawn aeration. Do as much as you want when you want. Do you think that neighbor and family relationships might be improved if you volunteered to run over their lawns for them, you bet. There have been 59 user reviews left for the Agri-Fab 45-0299 48-inch tow plug aerator with an average star rating of 4.2 from the 5 stars maximum. 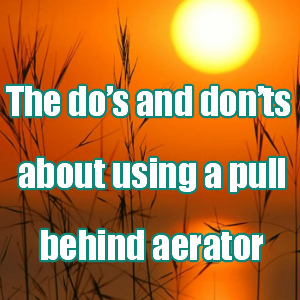 the ideal time of year to set this pull behind plug aerator into action would be spring or fall when the soil moisture content would be at the preferred condition. Your own knowledge of the local weather in your area will prove useful and will possibly prevent you having to water manually. Don’t engage reverse when knives are in the soil to avoid doing damage to the Agri Fab aerator. One review from a user gives us a good idea of how they added weight to the tray area. They filled 2 large 14 gallon tubs with water as the weights which won’t scratch the paintwork and allow rusting to take place as the use of bricks would do. Do take care when assembling these core plug removers as they are extremely sharp as many users have found. What I use when tackling these types of jobs is to wear good strong leather gloves, well, two different pairs really. To clean the machine and use the plug removal tool the strong gloves mentioned above would be the better choice. For assembling the tow behind plug aerator components a more nimble method is required which can be achieved with wearing a suppler pair of leather gloves with the finger tips cut off. This allows for the holding of screws in tight areas and means you mainly have to concentrate in ensuring that the finger tips are well away from sharp edges. It has been suggested by users for the makers of the Agri Fab plug aerator to partly assemble the array of plug corers to make the do it yourself assembly safer. I understand this although no doubt the less time spent at the factory in assembly means a bigger saving for the end user and allows the units to be sold at a competitive price. Plus the problem with shipping these assembled Agri-Fab 45-0299 units with all of the sharp knives, would be a costly process as would ensuring they didn’t do damage to carriers. The suggestion made by the user about plastic protector caps being added by the manufacturer to make assembling safer would also apply to the shipping. Visit the link above for more Agri-Fab 45-0299 review comments and further information about this tow behind aerator. Just bought this aerator. Assembled it with no problem. After assembly, hooked it up to the tractor to see how well it does. Had an issue with the cantilever lever that travels from the front of the aerator tray to the back. No problem when the lever is in the “up tines” position toward the seat of the tractor. Big problem when the lever is in the “down tines” position and angled away from the tractor seat. Can’t reach the lever and pull it back toward the tractor when it is angled away from the operator, especially with the weight of the four cement blocks in the tray. Must get off the tractor each time to reach the bar to raise tines back up. Fabricated another bar handle and attached it to the bar on the aerator pointing it back toward the operator. Did not bolt it tight to the bar but left it loose to pivot and hinge to allow the angle pull back toward the operator. Installed a “T” handle on it for easier grip on the fabricated bar. Now works without having to get off the tractor every time I wanted to raise the tines going across the driveway, sidewalk or turning the aerator to avoid ripping the grass. Poor tine-raising design as it is without some fabrication. Hi Terry. Glad to hear you got the Agri-Fab aerator working for you. Your work around would be great news for anyone who has been experiencing the same problem. Thanks for sharing.